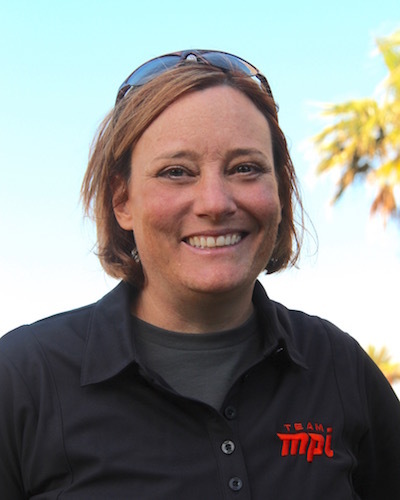 Liesl Begnaud is a Triathlon and Para Triathlon Coach from the USA. After competing for over 13 years, she wanted to share her knowledge with others and take up coaching, in which she now does as part of Team MPI. Liesl who has now been coaching for 2 years, has ambitions of becoming a coach at the 2024 Olympic Games in Paris. Why did you become a coach? Did you have any coaches that inspired you to take this journey in your own life? After training and racing for 13 years and having so much fun swimming, biking and running, I decided that I wanted to share my passion, skills, knowledge and experience with other adults who were looking to attempt their first triathlon. When I registered to attend the USA Triathlon Level 1 clinic, I knew that I wanted to learn about the specifics of the metrics of coaching and how to design a unique periodization plan for athletes to train and achieve their goals. I had been told my numerous other athletes that they thought I would be a great coach and I was driven to connect my racing experience with the specific knowledge of coaching. My first exposure to coaching was at a Challenge Athlete Foundation adult Paratriathlon camp in Florida. I have been passionate about connecting persons with disabilities to the sport of triathlon. It was at that camp that I met John Murray and Mark Sortino of Team MPI. They invited me to join Team MPI coaching company and the rest is history. In July, 2017, I attended the USAT Paratriathlon high performance camp for the RIO Paratriathletes and those on the development team. I am now a certified ParaTriathlon coach.